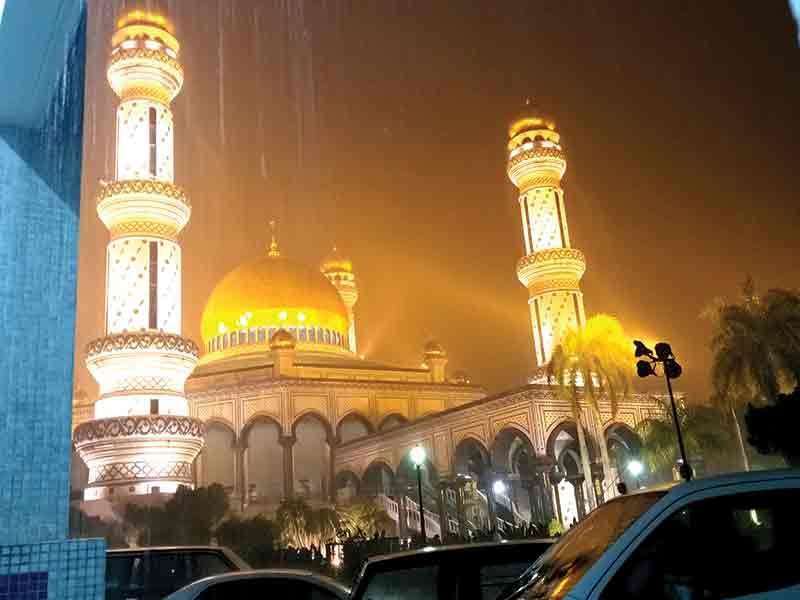 BRUNEI Darussalam's picture perfect mosques are such a great delight to the eyes. The Jame'Asr Hassanil Bolkiah Mosque in Bandar Seri Begawan, the largest and considered one of the two national mosques, never disappoints tourists and visitors whether by day or by night. While covering Dabawenyo athletes' stint in the 10th BIMPNT -Eaga Friendship Games early this month, I can't help but be captivated by the intricately-designed mosque when I travel going to the Hassanal Bolkiah National Sports Complex from the Philippine delegation's temporary residence at the Wafa Hotel and Apartment in Mukim Gadong, Bandar Seri Begawan and vice versa from December 5 to 9. 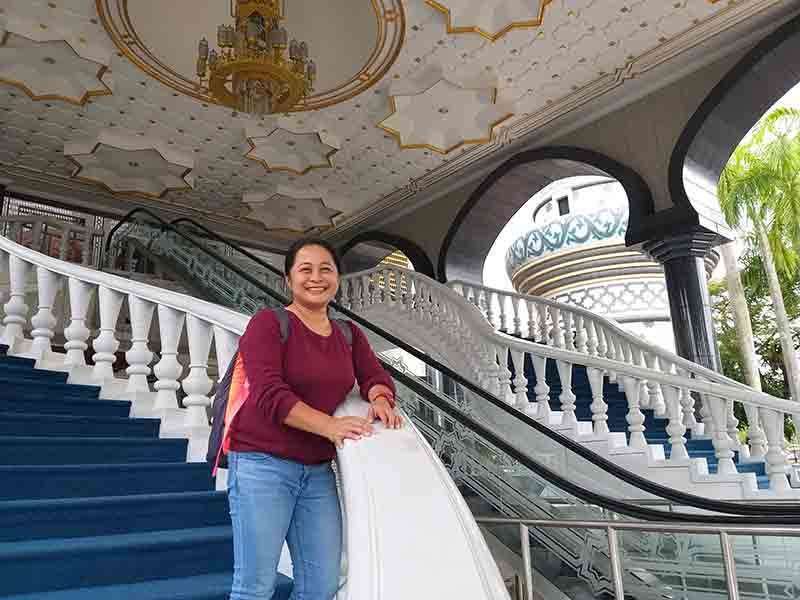 I've been to this oil-rich country way back in 2001 when a Davao City delegation who competed in the Arafura Games in Darwin, Northern Territory, Australia had an overnight stay at Brunei Hotel before catching a flight back to Manila the following day. I was part of the media coverage team of the delegation then just like in the recent Eaga Friendship Games. 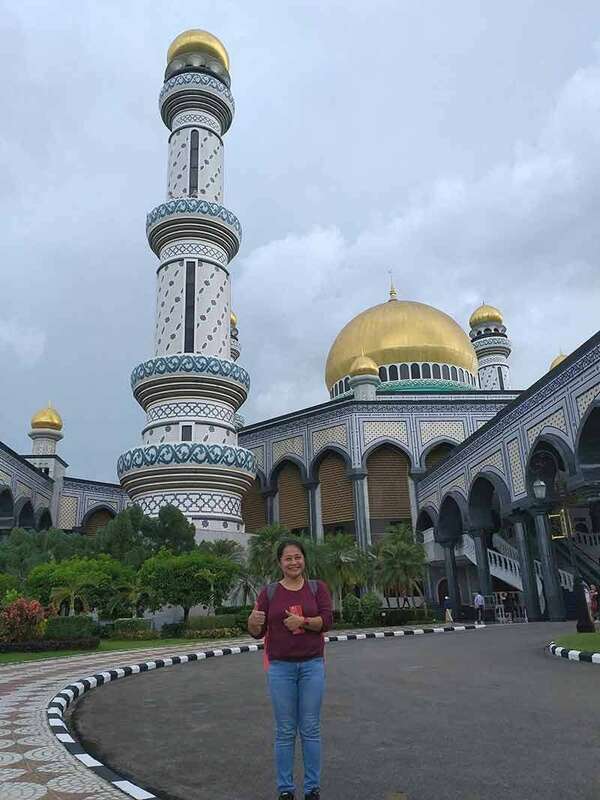 But since I was 17 years younger during my first visit (I'm 41 now), I joined the athletes to a fun-filled day at the Jerudong Park, an amusement park in Brunei-Muara District, instead of checking out this famous mosque. 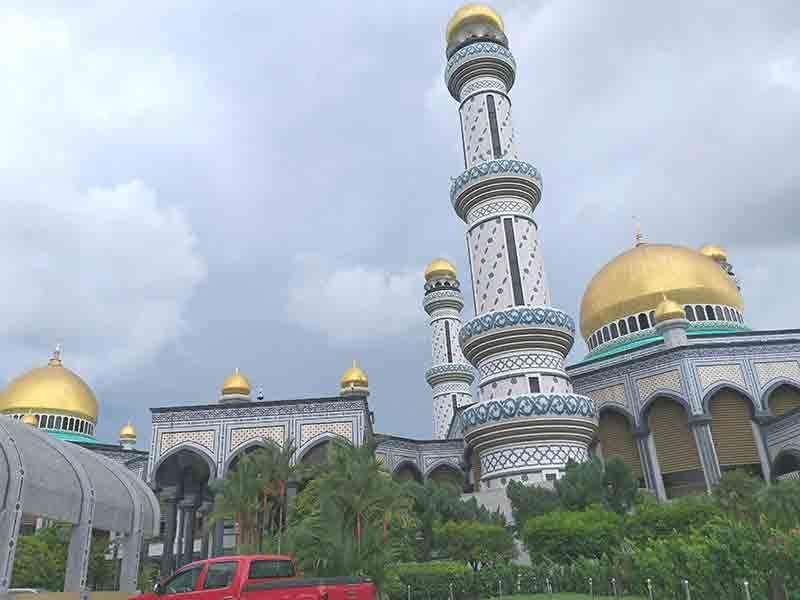 Named after Sultan Hassanal Bolkiah, the 29th and current Sultan of Brunei, the Jame'Asr Hassanil Bolkiah mosque is said to be adorned by 29 golden domes that glisten at night, making it more impossible for passersby and motorists to ignore its splendor. I sure had goosebumps just marveling over its facade despite that rainy evening when we visited it to take evening photos of the mosque. As if that was not enough, I along with Philippine Daily Inquirer sportswriter Dennis Eroa and Philippine Star photojournalist Jun Mendoza made sure to return the next day before going to the Brunei International Airport for our flight back to Manila. We stayed longer than we planned because there were so many angles to take. We just can't get enough of the exquisite architectural design of the mosque, the golden domes, and the giant entrance stairs fit for royalty and yes, the giant gates with golden stars. However lavish was the structure, the well-maintained landscaped gardens and fountains surrounding the mosque create such a balance that makes visitors and tourists feel relaxed and comfortable despite the heat during the day. 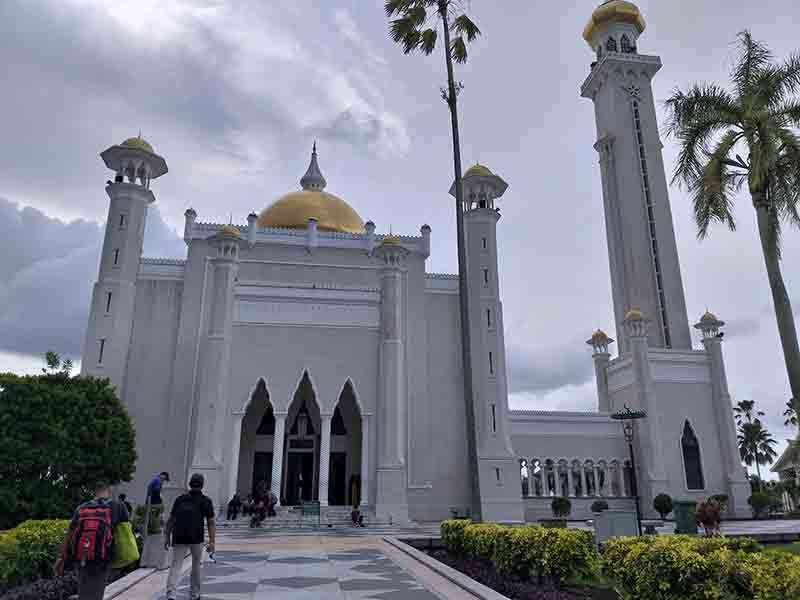 Then there's the Sultan Omar Ali Saifuddein Mosque also in Bandar Seri Begawan, a place of worship for the Muslim community and is considered a major historical site and famous tourist attraction in Brunei. 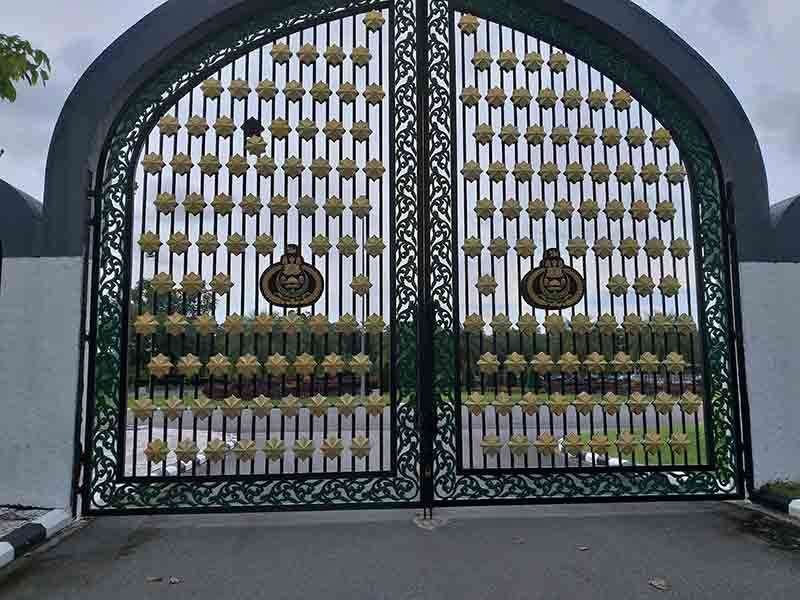 Named after Omar Ali Saifuddin III, the 28th Sultan of Brunei Darussalam, Sultan Omar Ali Saifuddein Mosque is the first state mosque that can accommodate 3,000 worshipers and is also the main mosque used for religious state activities and royal ceremonies. Built in the middle of the lagoon is a replica of a 16th century barge named "Mahligai", which is 157-foot long and 31-feet wide. It was built to commemorate the 1400th celebration of Nuzul Al-Quran and was used as pavilion in competitions of the Holy Quran recitation from the 1960's to 1970's. For tourists, it's a must-visit attraction. 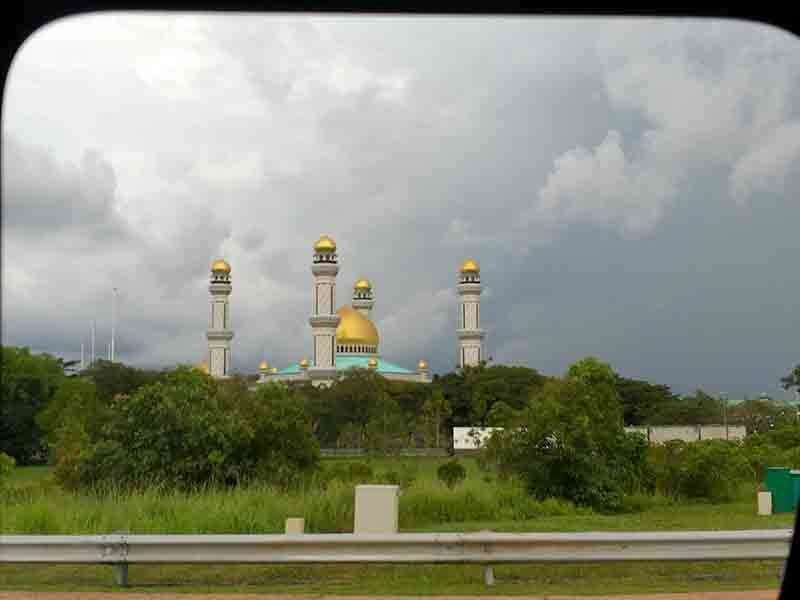 There are several other mosques in Brunei but these two are standouts. But wait, there's more. 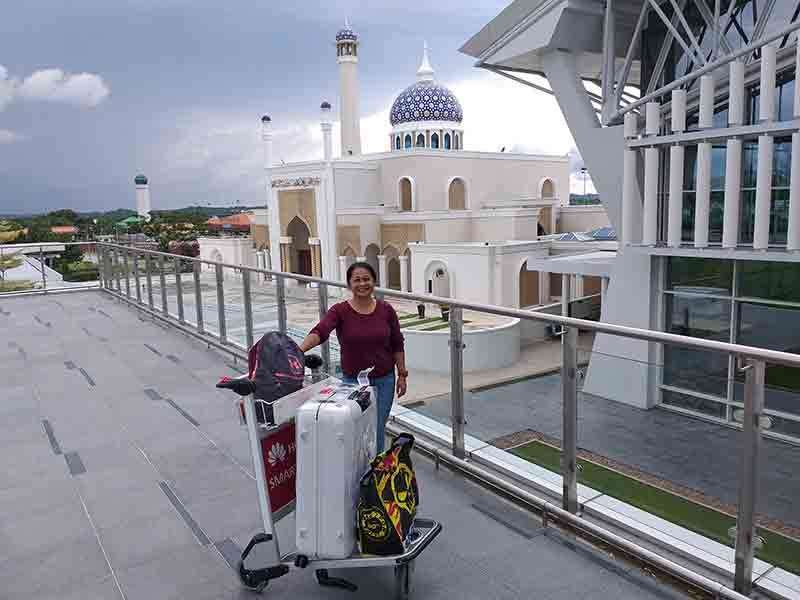 Another beautiful mosque is located within the Brunei International Airport complex. Its domes, however, are in the shade of blue instead of gold. What impresses me the most though is the reason behind the building of so many mosques in Brunei. The culture of praying is so embedded that most, if not all, vital establishments and structures, whether government-owned or privately-owned, have prayer rooms installed.